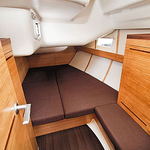 Boat Elan 444 Impression named Aladin has been built in 2013. 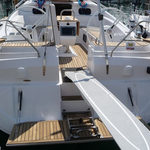 We propose this yacht from port Primošten just a few kilometers from Sibenik. Aladin is registered for 10 crew members. 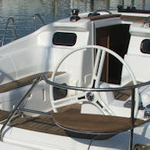 Layout of the boat is 10 (8+2). 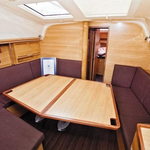 Elan 444 Impression Aladin has 4 cabins. For guests disposal there are 2 heads with showers. 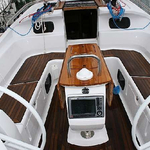 You can fill the tank for fuel with 270.00 l liters and in tank for water it goes even 516.00 l liters. With engine 55 hp Aladin can move really fast. 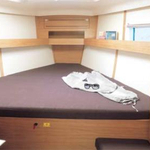 Aladin is 13.85 m long and 4.18 meters wide. Draft is 1.90 meters. 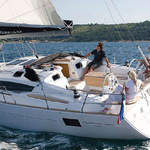 You can find more offers by going here: Yacht charter Primošten. 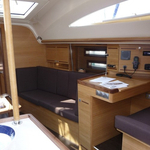 Yacht's equipment consists of : Furling mainsail, Radio / cd player, Icemaker, Heating, TV, Anchor electric windlass, Bimini top, Autopilot, Plotter gps in cockpit, Inverter 12v-220v, Bow thruster. . Nonrefundable deposit is 0.00 EUR. Choose our offer and enjoy your vacation on the deck of Aladin. 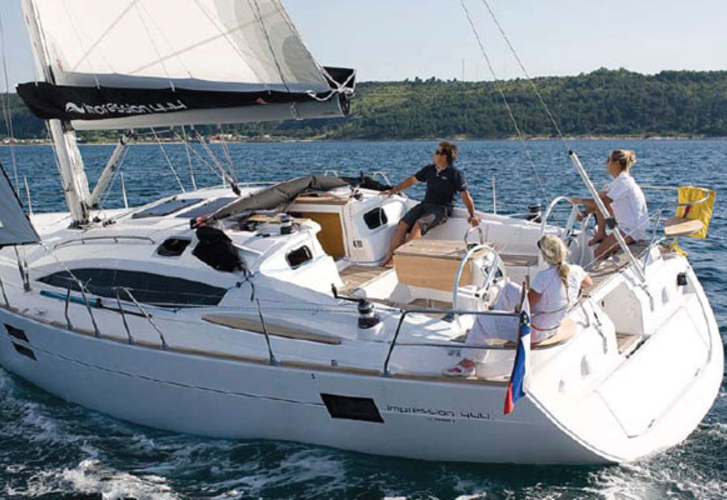 This Elan 444 Impression from Primošten from Croatia You can search right here: Yacht charter Croatia.